Janelle Hail, a 30-year breast cancer survivor, is the Founder & CEO of the National Breast Cancer Foundation, Inc. (NBCF), one of the most highly recognized and respected breast cancer charities in the world. Charity Navigator, America’s premier charity evaluator, ranks NBCF in the top three percent of charities in America with their highest 4-star rating for seven consecutive years. In 1980, at the age of 34, Janelle was diagnosed with breast cancer and underwent a mastectomy. She survived the life threatening disease as a result of early detection. Her diagnosis and survival ignited a passion in her to devote her life to educate women about early detection and to provide free mammograms for women who could not afford them. Eleven years later, Janelle turned her personal tragedy into a triumph. She founded NBCF in 1991 with a dream in her heart to provide women with resources to help them live long, productive lives. Through her leadership, NBCF has received numerous honors and is considered the voice of hope in the breast cancer community. As an award-winning writer and professional speaker, Janelle has traveled across the U.S. and around the world inspiring women with her message of hope and NBCF’s mission to save lives through early detection and to provide mammograms for those in need. This mission includes increasing awareness through education, providing diagnostic breast care services for those in need, and providing nurturing support services. In 2010, Janelle was invited to serve as a founding board member of the prestigious, World Innovative Networking (WIN). Through the collaborative efforts of the finest doctors, scientists, and researchers in the world, WIN’s mission is to accelerate integration of ground-breaking personalized cancer medicine discoveries into practice and to significantly improve clinical outcome and quality of life. Janelle also serves as a member of WIN’s Steering Committee, which is chaired by Dr. John Mendelsohn, President of The University of Texas M. D. Anderson Cancer Center, #1 Cancer Hospital in America. 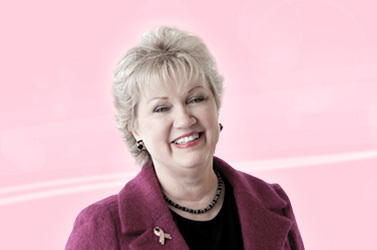 Janelle has been honored with numerous awards for her philanthropic efforts with NBCF, including, the prestigious Texas Living Legend Award, Cleveland Clinic’s Tour of Hope Award, White Memorial Medical Center’s Foundation of the Year, War on Cancer Champion, University of Kentucky Fellow, and the Brother Bonaventure Philanthropy Award. Janelle received special recognition by The University of Texas M. D. Anderson Cancer Center for her outstanding leadership, dedication, and generous support of breast cancer research. Janelle has also received honorary proclamations from New York City, NY and Los Angeles, CA and The Recognition Award from the California State Senate. Janelle's gentle heart, mixed with her entrepreneurial leadership, places her on the cutting edge of her industry. She provides advice and helpful information, as well as hope to assist individuals touched by breast cancer regain some control and lead a fulfilling life. Janelle gives back the gift of life through sharing the importance of early detection, providing education awareness of breast cancer and funding for free screenings to low-income and underserved women. Janelle has been married to her husband, Neal, for more than 40 years. They have three sons and five grandchildren.